Vincent van Gogh, famously, sold only one painting in his lifetime. Leonardo Da Vinci struggled to finish many of the commissions he was given – his Last Supper is technically unfinished as he intended to include a roof on the mural. 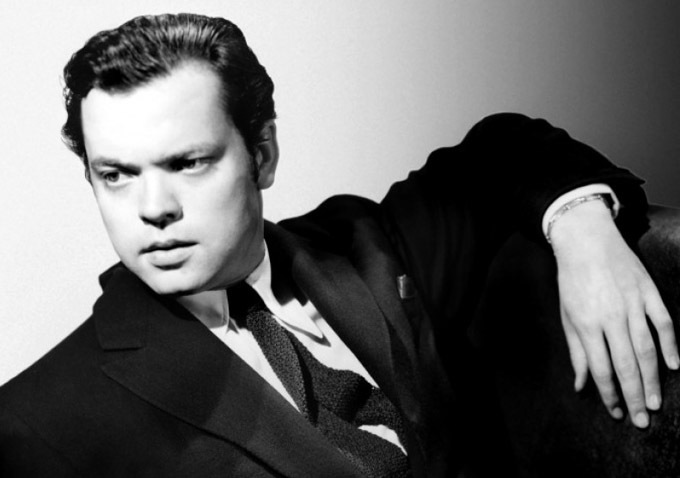 Magician: The Astonishing Life and Work of Orson Welles lifts the widely-respected filmmaker to such heights. Akin to van Gogh and Da Vinci, his canon of films includes multiple financial losses, alongside incomplete masterpieces that, even now, are rumoured to be lost in the deepest depths of Southern America. From Citizen Kane to F for Fake, his history is fascinating, and director Chuck Workman, takes us on the bumpy journey through his life. Split into small, bite size chunks such as ‘The Boy Wonder’ and ‘The Master’, Magician covers his entire life. It charts his life as a young man, excelling at school and impressing his classmates and teachers. The unforgettable ‘War of the Worlds’ radio show is noted as the moment he burst into the big-time, gaining international recognition. Magician manages to utilise stock footage and combine it with new interviews to reveal the enormous influence Welles has had on filmmakers as diverse as Richard Linklater, Martin Scorsese and Steven Spielberg. Linklater, when we reach the independent films Welles has made, claims how he is the ‘patron saint’ of indie filmmaking. Those who know Welles as either Charles Foster Kane or a joker in The Muppets Movie and Transformers: The Movie, may be surprised by how important he was in his later years. Unfortunately, aesthetic choices in the documentary sometimes seem awfully cheap. Framed pictures on a grand table, as the camera slowly pans in or jazz music often distracting us from the interviewee are terribly misjudged. It’s almost like we’re watching a homemade video, with these amateur decisions jarring with the high-class direction of Welles himself. What Magician does do, is praise the lesser known treats in the genius’ canon. Peter Bogdanovich highlights The Trial; Orson tells us that Chimes at Midnight (Falstaff) is his strongest cinematic accomplishment. The many controversies regarding his demeanour as a director and his many relationships are hinted at, but not explicitly explored. Workman’s film is about lifting Orson Welles as high as possible, and letting the world judge his epic legacy. To direct Citizen Kane alone is worthy of the highest praise. Add to this the conflicted characters in Touch of Evil and his immortal role in The Third Man, and you’re still only scratching the surface. Workman uses footage from movies that, not only nod to Welles, but are openly shouting his direct impact as characters watch, discuss and see his films within their own films. Linklater’s Me and Orson Welles, Tim Burton’s Ed Wood, Truffaut’s Day for Night and the TV-movie RKO281 all feature, and whether Welles is a role or his film is in postcards on the floor, these renowned directors are boldly acknowledging his enormous impact on cinema. This is a simple, yet informed, documentary. I don’t get a sense that there is anything here that wouldn’t appear in a biography. But, as a man of the screen and stage, it makes sense to see his work compared, criticised and discussed on the cinema screen. It’s clear and concise. And with an Orson Welles season beginning at the BFI, this is the perfect starting point.